"I first met Jane VanBoskirk when she was touring the Northwest with her "suitcase of dead women," ranging from The Youngest Pioneer to the remarkable Mother Cabrini. I was impressed with Jane's shape¬shifting talent and versatility, and she knew me from my growing body of plays. We became friends and hoped to be collaborators. At the time I was writing ensemble scripts, which took me to various theatres and art centers here and abroad for thoughtful tinkering and rewrites. One summer I was writer-in-residence at Choate, a prep school in Connecticut, waiting for the afternoon rehearsal when I went to the campus library to see if they had any of the YA books I had written for my NYC publisher. They had one - a little powder blue volume with my name on the spine and the subject: Eleanor Roosevelt. Oh why didn't I think of it before, Jane!" The playwright, Sharon Whitney, has written more than a dozen prize winning plays and four published books. In respect to this project, she is also the author of a 1986 biography of Eleanor Roosevelt for young adults, published by Franklin Watts, New York, and an ensemble play about Eleanor at age 15 at her boarding school in England, "Totty - Young Eleanor Roosevelt," published by Anchorage Press, New Orleans. Among other honors, Sharon received the Oregon Institute for Literary Arts Drama Fellowship; the Oregon Arts Commission Artist Fellowship; the Oregon Book Award for Best Play; First Prize for Playwriting from the Pacific Northwest Writers Conference; and has had plays produced in Ireland, South Africa and London, as well as in the U.S. 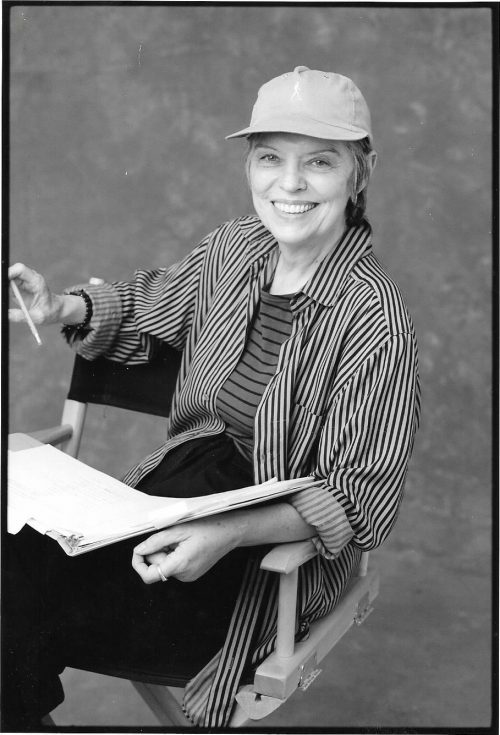 In June, 2000, she was chosen by competition to develop one of her plays, "Five Minute Wars," with Portland Center Stage and New York Theatre Workshop.